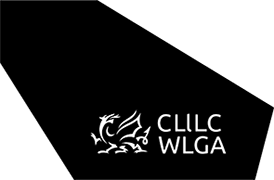 The Welsh Government and the Future Generations Commissioner have made it clear that duties to set and report on wellbeing objectives (under the Wellbeing of Future Generations (Wales) Act 2015) should not be treated as separate from any objectives that guide and steer the actions and decisions of organisations. In addition, they have also set out that planning and reporting processes should be aligned and integrated. As the Local Government (Wales) Measure 2009 states, Improvement Objectives need to reflect the key strategic priorities of authorities and to all intents and purposes, well-being objectives and improvement objectives can be treated as one and the same. Therefore, by integrating processes for setting and reporting on these key objectives, authorities can discharge their duties under both areas of legislation. Some authorities have already indicated that they will be publishing a Corporate Plan by the end of March 2017 which includes their well-being objectives, effectively discharging both their wellbeing duties and the Measure duties to publish an Improvement Plan and objectives (as publishing an Improvement Plan early is possible under the Measure). Authorities may then wish to re-consider their well-being objectives following the local government elections, as per the WBFG Act 2015 (see S9 (5) and (6) ‘(5) A public body may at any other time review and revise its well-being objectives…Where a public body revises its well-being objectives…it must publish them as soon as is reasonably practicable..’. The WBFG Act is not intended to introduce a compliance based focus on process. The Act gives the Auditor General for Wales the power to examine the extent to which authorities have acted in accordance with the sustainable development principle (5 ways of working) in setting and working towards well-being objectives. There is nothing in the Act that requires the Auditor General to audit plans. This may mean a light touch in terms of any examination of published documents, but will require deeper examinations of underlying arrangements and the 5 ways of working. In recent years the WAO has reduced the focus on process under the Measure to a basic certification rather than a comprehensive examination of authority publications. "A public body’s well-being objectives must be set and published…no later than the beginning of the financial year following the commencement of this section"
"The first set of well-being objectives will be agreed and published no later than 31 March 2017." (5) "A public body may at any other time review and revise its well-being objectives…Where a public body revises its well-being objectives…it must publish them as soon as is reasonably practicable..."
A Council that delayed the publication of its first set of well-being objectives until sometime after local government elections when it produced its corporate plan would not be complying with the requirements of the Act. "as soon as is reasonably practicable after the start of the financial year to which the plan must relate." It is anticipated that one set of objectives would be produced to jointly discharge the separate duties to produce well-being objectives and improvement objectives. This is normal practice (in discharging Measure duties to produce improvement objectives and a plan) and the emphasis in the WBFG Act is that there should be on an integrated approach to corporate planning in which the setting, taking steps to meet and reviewing of well-being objectives also discharges the requirements of the Measure. Councils must set improvement objectives each financial year (S3 of the Measure), so assuming councils are producing a single set of objectives, this process would incorporate the review and revision of any well-being objectives (as per S9 (5) and (6) of the WBFG Act 2015). Councils have separate duties to produce an annual performance assessment (S15(3) of the Measure) and annual wellbeing report (Schedule 1, 1(2). These duties could/should be discharged through the publication of a single report. "as soon as reasonably practicable following the end of the financial year, but no later than a 31st March of the following year."